FRANKLINTON—David C. Allen, 46, of Bogalusa, was sentenced to life in prison Monday after pleading guilty to first-degree murder and other charges for his role in the stabbing death of a Bogalusa man and the throat slashing of another during a robbery for illicit drugs. 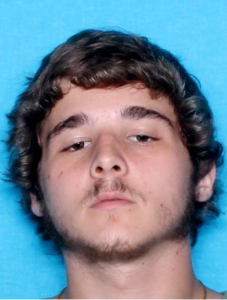 Allen’s nephew, Christian “Chase” Henry, 20, also of Bogalusa, pled guilty to manslaughter and other charges and was sentenced to 60 years in prison without the benefit of parole, probation, or suspension of sentence. District Judge William J. Knight accepted the pleas and handed down the sentences on the day that both men were set to go to trial for killing Demarquis Wilson, 25, and seriously wounding Charles Ramsey, 21. 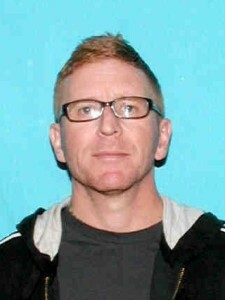 The incidents took place on October 13, 2014, after Allen, Henry, and a third defendant, Robert Shane Taylor, 28, arranged a meeting in Bogalusa with Ramsey, supposedly to buy drugs. Instead, the men planned to rob Ramsey of his heroin, crack and money. While carrying out the robbery, Allen slashed Ramsey’s throat. Henry then attacked Wilson, stabbing him seven times. Ramsey survived the throat slashing, but Wilson died from the injuries cause by his stab wounds. Allen, Taylor, and Henry fled the scene with heroin and crack and were picked up by a fourth defendant, Bridget A. Martin-Roach. She pled guilty in October 2014 to accessory after the fact and was sentenced to a suspended five years in prison and five years of probation. Taylor also pled guilty earlier to two counts of armed robbery, and he awaits sentencing. On Monday, Henry was sentenced to 50 years on the manslaughter charge, but he and Allen also pled guilty to two counts of armed robbery, for which they were sentenced to 60 years in prison. In addition, Allen and Henry pled guilty to the following charges and received the same sentences, which will all run at the same time: attempted first degree murder, 50 years; and conspiracy to commit armed robbery, 30 years. Assistant District Attorney Collin Sims, Chief of the Criminal Division, and Assistant District Attorney Jerry Smith prosecuted the case.